The ICC rankings are based on the consistency of a team in Test cricket. As a result, the rankings system rewards those who win matches on a regular basis, fairly. So it is seen that teams such as West Indies and Bangladesh continue to sit pretty at the bottom of the rankings for losing more than winning Test matches while Australia, which was World No.1 in January 2008 is now World No.4, although a series whitewash against India could get them to the third spot. Bangladesh holds the record for the maximum number of defeats suffered in the last 48 months. Their record in Test cricket continues to be shambolic, despite having now been in the Test arena for over a decade. This should bring about some change in Bangladesh cricket, but it is unlikely to happen as the media and public together focus more on their performances in ODIs and T-20s, because it is perceived that they are likely to cause an upset to a top-ranked team in particular in these two formats only. 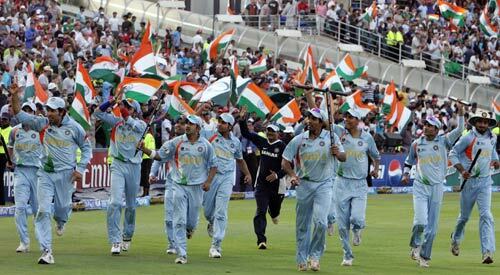 Nevertheless, the team kicked off 2008 in somber fashion, being whitewashed by New Zealand in New Zealand. In a few days time, they had to host South Africa for two Tests but the visitors were on a rampage and added another series win in the Indian subcontinent, winning 2-0 in 2 Tests. The rest of the year saw Bangladesh play New Zealand and South Africa yet again, losing to New Zealand, 0-1 in 2 Tests despite one fighting draw while in South Africa, they were anticipated to be hammered and that is exactly what happened with a 0-2 series loss in 2 Tests. 2008 ended with Sri Lanka defeating Bangladesh by 107 runs in Dhaka, but Mohammad Ashraful the skipper scored a fine century in the second innings to avoid his team a humiliation. Bangladesh were yet again whitewashed at home by Sri Lanka but 2009 was still a better year for them. They toured West Indies and had a brilliant tour, capping off their first ever Test series abroad by winning both the Tests against a second string home team. For the first time in a calendar year, Bangladesh won more than they lost although they just played three Tests. Their next task was to play hosts to India for a 2-Test series in January 2010. They almost upset the World No.1 side in the first Test but yet again lost their intensity to go on to be defeated in both the Tests. What followed were difficult tours to New Zealand and England. New Zealand beat them in the only Test while England also won 2-0 in 2 Tests, despite the emergence of Tamim Iqbal as Bangladesh’s long-term Test opener in the future. In the next 14 months, Bangladesh were devoid of Test cricket with the focus being the World Cup 2011. So, it was in August 2011 that they had to play a Test and ODI series in Zimbabwe, following their return to Test cricket. But Bangladesh cricket came to an all-time low following a defeat in the one-off Test and there was change of guard in the captaincy with wicket-keeper batsman Mushfiqur Rahim taking over Shakib al Hasan. They had their best chance to win a home series for the first time since 2004 against the West Indies, but lost the final Test of the series. Pakistan also were scheduled to play Tests in Bangladesh for the first time ever, and an in-form team won 2-0 as well which resulted in Bangladesh losing four Tests out of five in 2011. The decline of the men from the Caribbean has been alarming in the 2000s anyway. 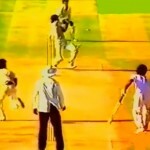 They were the kings of cricket in the 70s and 80s, and atleast competitive in the 90s. But their fortunes have turned around drastically. Now, they are considered minnows especially in the longest format of the game with their last win coming against England in March 2009 in Jamaica. However, their defeats have been consistent and as a result, even draws have not helped them move higher in the rankings. In 2008, they lost 5 Tests out of 9 with no wins. They began the New Year disastrously with back-to-back defeats in South Africa, despite being 1-0 up in the 3-Test series. The home summer had Sri Lanka and Australia coming over. Sri Lanka won the first Test but West Indies pulled off a spectacular 6 wicket win in the second Test to square the series. Australia came next, but they humbled the hosts 2-0 in 3 Tests. Not much of cricket was to follow in the year, as they ended it with an uneventful series in New Zealand, having drawn both the Tests. Come 2009 and this was even worse for the Windies. It was a great start to the year to beat England in the first Test of the home series. However, England took their revenge at home and whitewashed a West Indies team whose captain, Chris Gayle seemed more interested to play in the IPL rather than the Test series. There was more disaster to come, as West Indies were in turmoil following a board-player dispute as a second string team had to play against Bangladesh. Shockingly though, they lost both the Tests of the series against a team ranked lower than them. In the end of the year, they travelled to Australia but atleast showed some grit in their performances despite losing in Brisbane and Perth. West Indies did not have any Test cricket to play in the first half of 2010. Their first assignment of the year was to host South Africa in June. But they were brushed aside 2-0 yet again, in a 3 match series as they were no match to an efficient South African team. They then toured Sri Lanka but unexpectedly played out draws in all the three Tests, with rain and a change of captaincy helping. Darren Sammy, the youngster was made skipper in the hope that he would bring about a winning mindset in the team. However, these are early days for him and his side still. 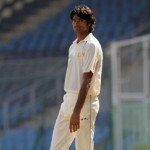 His first home series as captain though saw his team level a 2-Test series against a stronger Pakistan team. But Sammy was given a reality check against India as they lost 3 Tests out of 6 against Dhoni’s men, winning none as they ended 2011 acronimously but with some hope of a better 2012. The retirements of Glenn McGrath and Shane Warne from Test cricket in January 2007 made Australia’s critics wonder if they could extend their winning run in Tests. Their fears were justified to a large extent because Australia had lost only 3 Tests under Ricky Ponting, and in all the three there was either no McGrath or Warne playing. Thus, it began a period of transition for the world champion side, but they have had huge roadblocks on the way and it can be seen with their 16 Test defeats in the last four years, making them second in this list alongside West Indies. The rest of 2007 was fine as they remained unbeaten. But the beginning of the end was from the Sydney Test in 2008 against India, which could have gone against them as well were it not for pathetic umpiring decisions and allegedly poor sportsmanship by them. Australia lost the following Test at Perth, but fortunately for them they won the series 2-1. A trip to the Caribbean went very well, but their biggest challenge was against India in India. They lost 0-2 in 4 Tests, having been outplayed comprehensively and in the process losing the Border-Gavaskar Trophy. But a disaster like the Tsunami was to occur at home, rare but destructive. A spirited South African team took full advantage of an out-of-order Australian team, winning the first 2 Tests of the 3-match series which included a run chase of 414 in Australia’s fortress, Perth. Australia clawed back to win at Sydney, but they had been defeated in 5 Tests in one year itself. 2009 though began on a bright note for them with the Sydney victory, but also an inspired win in South Africa despite coming into the series as underdogs. Australia took perfect revenge, winning 2-1 in the series, the first defeat of the year coming in the final Test at Cape Town. However, their happiness was short-lived with yet another Ashes series loss in England, losing 1-2 in 5 Tests. By now, Australia had lost 3 out of 5 series against their closest competitors and the signs were not ominous for improvement. Australia began 2010 by losing their World No.1 spot, but were hardly challenged by West Indies and Pakistan in the home summer. However, Pakistan came back to haunt them in England playing ‘hosts’ to Australia. Australia were bowled out for 88 in the first innings of the Leeds Test and that was good enough for Pakistan to eventually clinch a 3-wicket victory to square the Test series, 1-1. Ponting’s men were on an all-time low in terms of confidence and even as their focus was on the Ashes, India or rather BCCI played Judas to their preparation plans by inviting them for a 2-Test stopover. Expectedly, Australia were whitewashed even though they were inches away from winning the Mohali Test, until VVS Laxman and Ishant Sharma put up an 81-run partnership for the 10th wicket. Their misery did not come to an end, as England had no mercy for Australia. Australia lost the Ashes for the first time at home since 1986, with a 1-3 margin against Strauss and co. And all the three were innings defeat which showed how badly England embarrassed the once invincible Test team. 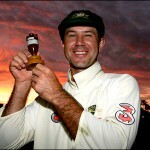 2011 was the year which actually saw the execution of change in Australian cricket with Ponting resigning as Test and ODI captain. Michael Clarke’s tenure as captain had a cracking start with a Test series win in Sri Lanka but the wheels began to come off again after being bowled out for 47 in the Cape Town against South Africa, going on to lose by 8 wickets. And worse, a home loss to Test minnows New Zealand for the first time since 1985, in Hobart. Speaking of New Zealand, they too are not far behind the rest. 15 Test defeats in 4 years have not helped them reach even the top 5 of the rankings, even if they have aimed to. They are currently ranked 8th, even below West Indies. Their ODI side is relatively performing better but it is unfortunate that due to the country’s population and a not-so much emphasized upon domestic structure, they have not found the players with the talent to succeed in Test cricket. New Zealand kick started 2008 with a home series defeat to a resurgent England, losing 1-2 in 3 Tests. Then they played a return series in England but again lost twice and not winning a single Test in the series. They beat Bangladesh in Bangladesh but in the Australia series which followed, they lost 2 Tests out of 2 against a demoralized Australian side. It amounted to 6 Test losses in 2008, only behind Bangladesh. They hosted India in March 2009 but this was not the best Test side to challenge an in-form team, and consequently lost 0-1 in 3 Tests. Followed by which it was five months later that they toured Sri Lanka but were duly beaten 0-2 in 2 Tests, as they were unable to handle the hosts’ spin attack and powerful batting line-up. A bright light in this dark tunnel was the home series against a turbulent Pakistan side but even against them, they suffered a loss at Wellington which eventually made them square the 3-match series, 1-1. The Kiwis’ home summer was extended, as Bangladesh and Australia were scheduled to tour the country in the first four months of 2010. Bangladesh were taken care of but in the ultimate challenge, which was against the Aussies, they were beaten outright, 0-2 in 2 Tests which were signs of worse to come. They had no Tests to play in the summer, but had their toughest task in hand, to beat the top-ranked Indian side in their own backyard. They were unsuccessful though, losing 0-1 in 3 Tests despite putting up an outstanding fight in two of the Test matches. 2011 began in distress but ended in style for the Black Caps. They lost 0-1 in a 2-Test series at home to Pakistan, which was rebuilding following the spot-fixing scandal. After the World Cup, Ross Taylor took over the leadership reins from Daniel Vettori and led the side to a Test win in Zimbabwe. 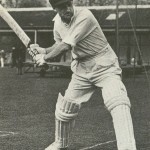 But they suffered a thumping 9-wicket defeat in the first Test of the Australian summer, at The Gabba. Only to come back strongly and win in Hobart, to level the series 1-1 and create history by beating their archrivals in a Test for the first time since 1993. They can look forward to 2012 with series against Zimbabwe and South Africa coming at home in two months time. India are on the edge but make it into this list following a horrendous 2011 in Test cricket, although they won the World Cup in style. MS Dhoni’s captaincy has been exposed for the first time, and now it is questionable whether he is actually India’s greatest captain ever. 5 defeats in 2011 are the highest by any team in the year, and 4 of them came in England out of 4 games in what was supposed to be the marquee series of them all. It also saw India lose their World No.1 ranking to England, and the year ended with a defeat in the Boxing Day Test in Melbourne against Australia. 2012 has also not been kind to India so far, as their woes continue in Australia, losing in both Sydney and Perth with another away series whitewash being on the cards, come January 24 at Adelaide. Otherwise, India have been prolific in the years 2008-2010, having lost only seven Tests. One of which was against Australia in Sydney in January 2008 and three of them were against Sri Lanka in Colombo in 2008 and Galle in 2010. These prevented India from winning away series which they could have won easily. The remaining losses came against South Africa with two of them being in Ahmedabad in 2008 and in Nagpur in 2010. And the other one being in Centurion in South Africa. All these three series were drawn, which went to show the equality of India and South Africa in Tests as the numero uno Test team in the world ever since Australia’s transition. Their form at home has been outstanding, reminding many of India’s run in the 1990s. They have not a single series at home since 2004 now, but the team can stumble with an aging batting line-up and a decline in spin bowling in the country. Besides, New Zealand and England will tour India at the end of 2012 while Australia are scheduled to return in February 2013.